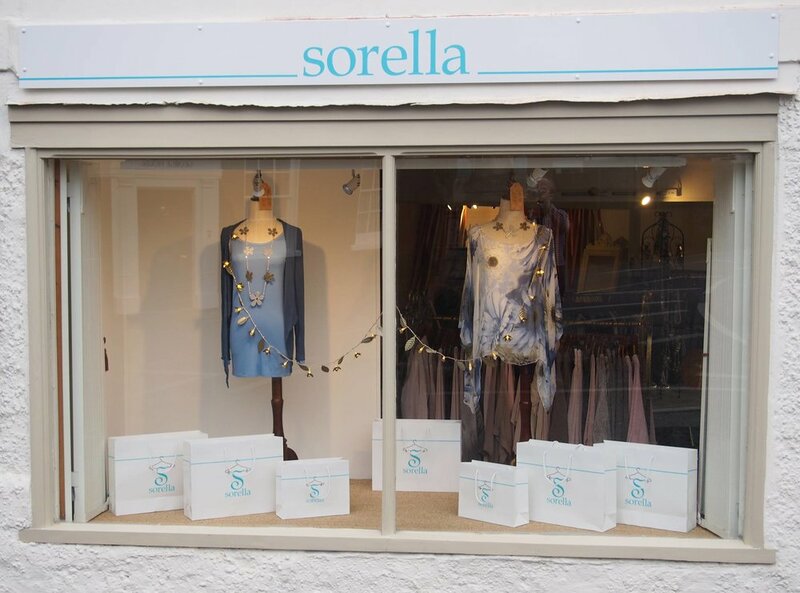 Established by Liz Singleton, Sorella Clothing is based in Petworth, West Sussex, in the heart of the South Downs National Park and prides itself in taking a softer yet stylish approach to ladies fashion and accessories. You will be given a warm welcome and find a stunning collection of affordable ladies fashion and a source of beautiful leather accessories and jewellery. Friendly, helpful and knowledgeable staff are here to assist you to choose the perfect outfit for any occasion. Sorella stocks an ever evolving range of stunning standalone pieces in relaxing, natural fibres such as silk and linen, all at affordable prices. The clothes that we sell are of the highest quality, are chosen to reflect the latest trends and our favourite brands and we firmly believe that you should feel special every day of the week - whatever you choose to wear and whatever your shape, size or mood. Please call in and visit us in our beautiful little shop in Church Street, Petworth, which is situated between East Street and Lombard Street – directly opposite Petworth’s parish church of St Mary, on the northern side of the town centre. Please visit us from Midhurst, Easbourne, Lodsworth, Stedham, Fittleham, Pulborough, Wisborough Green, Petersfield, Hindhead, Haslemere or Billingshurst as Sorella Clothing is only a short drive away! Open from 10.00 to 5.30 Monday to Saturday. STAY UP TO DATE AND SIGN UP FOR DISCOVER PETWORTH'S NEWSLETTTER . Email submitted correctly. Thank you!